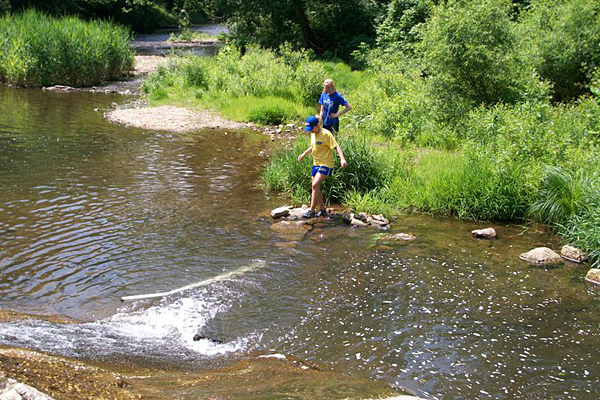 Taking measurements near a dam on the White Clay Creek. Recording the depth of the waters at a site on the White Clay Creek. 11:46 a.m., Oct. 5, 2011--While some students spent their summer vacations taking a break from college course work, Chelsea Halley was immersed in an eight-week study aimed at improving the shad population in White Clay Creek. The internship was funded by the Delaware Water Resources Center, within the College of Agriculture and Natural Resources (CANR), and Halley, a senior in the college, was part of a research team that surveyed seven dams along White Clay Creek that restrict fish passage. The shad restoration project is being overseen by the University's Water Resources Agency, a program unit of the Institute for Public Administration. Halley explained that some of the dams were built in the 1700s and that they once served a purpose, such as diverting water to mills, but have long since been rendered unnecessary. Halley then would input the results into a computer model and diagram each cross section that was measured. 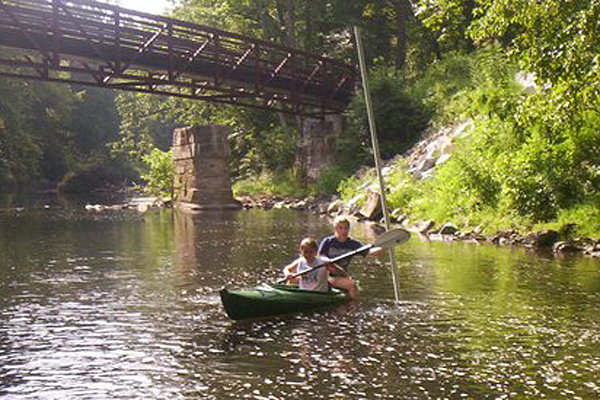 After discovering the internship through the UD website, Halley contacted Gerald J. Kaufman, director of the Water Resources Agency, and was drawn to the shad restoration project because it involved a lot of hands-on field work, which she said has been the most beneficial aspect of her internship. 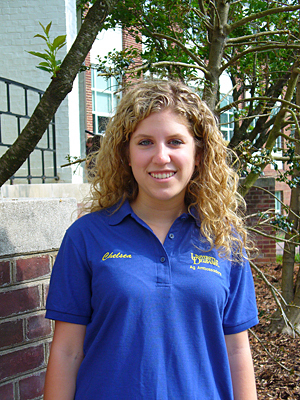 Kauffman became Halley’s adviser for the research project, which began in June and runs through the spring of 2012. Halley now works at the Water Resources Agency office for about 10 hours a week as she continues to work on the shad restoration project and other WRA projects. For now, Halley is relishing the opportunity to put to use all of the techniques that she learned over the summer in the field of water resources and to continue her education in the field. Other students involved in the project include: Sarah Ackerman, a CANR senior; Seth Olson, an environmental studies student in the College of Earth, Ocean, and Environment; Katherine Adami, a senior environmental studies major with a concentration in environmental law, policy and politics; Kayla Iuliano, a junior Honors Program student majoring in environmental science; Ian Kaliakin, a sophomore environmental science major; and Erica Addonizio, a sophomore chemical engineering major.